The 32nd Humanitarian Dinner will be held on Tuesday, November 19, 2019 at The Logan. The Humanitarian Award recognizes those who contribute positively to the Philadelphia community and are dedicated to improving the lives of individuals with disabilities in our region. 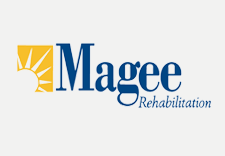 For information on sponsorship opportunities or to purchase tickets, please contact 215-587-3090 or giving@mageerehab.org.